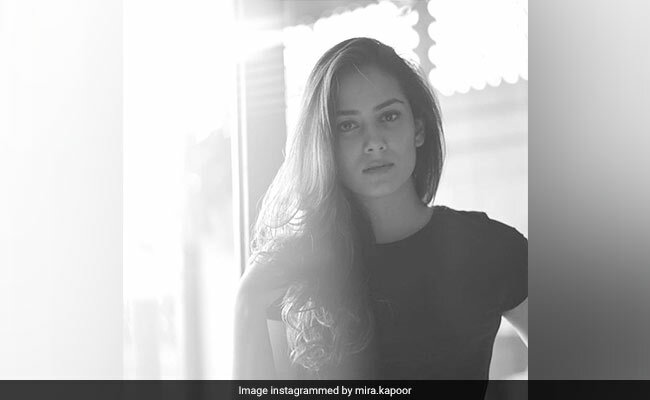 Mira Rajput, wife of Shahid Kapoor, often finds herself at the receiving end of massive trolling on the Internet for one thing or the other. Recently, she uploaded an Instagram story on her feed, sharing that her two-year-old daughter Misha now sports coloured hair. Soon enough, her next story carried a clarification of sorts that it's "temporary" and can be washed off. 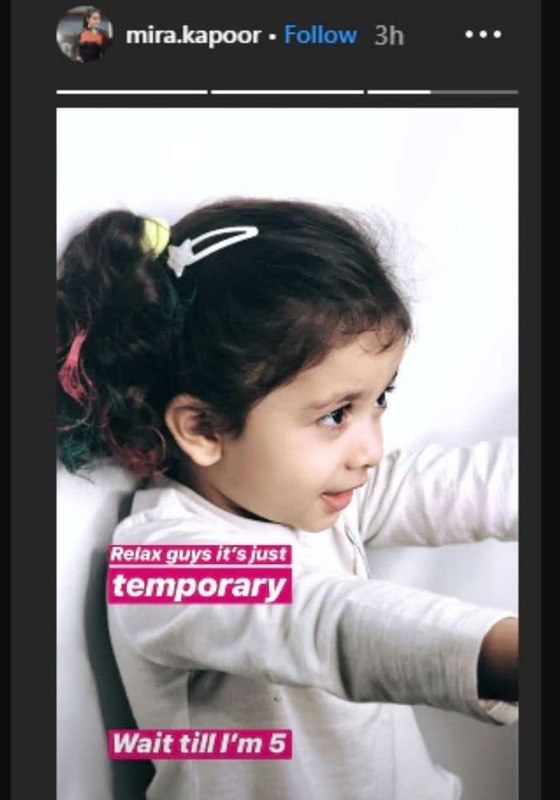 While haters and trolls couldn't outrightly criticise Mira on any particular post, her follow-up story appeared to suggest that she must have received vile reactions on her story from her Instafam about colouring a two-year-old's hair. In a recently interaction with the press at an event, Mira was asked about the same when she said she doesn't take trolls all that "seriously," reported news agency IANS. "It wasn't a colour. It was a regular paint. She (Misha) just had nice time and I think it's just about letting your children to be creative, letting them be free and letting them to have a good time. I think it doesn't make sense to get serious about everything," Mira Rajput said at the event. Her statement just adds to her previous response to trolls, in which she wrote on behalf of her daughter: "Relax, guys, it's just temporary. Wait till I'm 5." 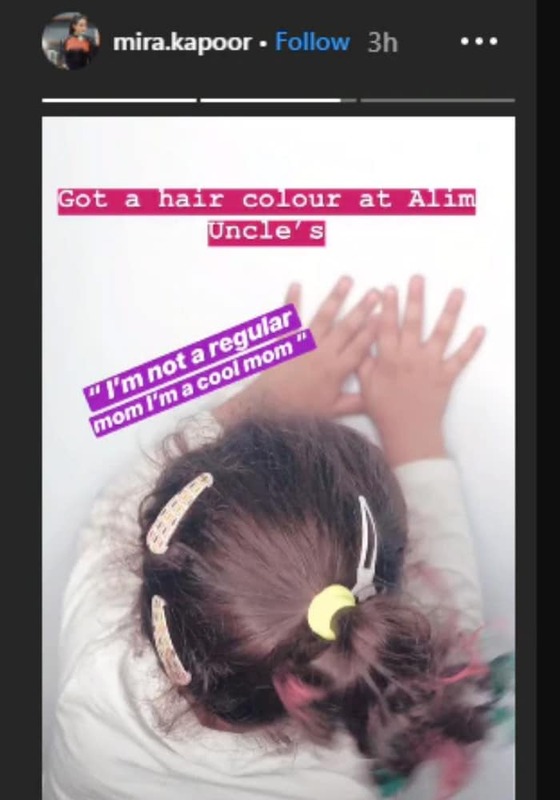 What appears to have irked the trolls was a photo of Misha sporting multi-coloured locks, shared with this caption: "I'm not a regular mom, I'm a cool mom." Meanwhile at a fashion event, Shahid Kapoor appeared to address a question on the trolling in a lighter mood, reported Bollywood Hungama: "Woh bilkul jo Marks & Spencer's ki colour ki theme jo thi, unko humne follow kiya hai, aur bahut plan karke woh photo daali gayi hai." The actor was said to be speaking at an event for that fashion label only. In the past, Mira Rajput has been trolled for endorsing anti-ageing cream, the TV commercial of which also marked her acting debut. In more recent times, Mira was criticised for not carrying her baby son Zain Kapoor, who was in the arms of a nanny, during one of Mira's airport appearances and was ruthlessly asked not to copy Kareena Kapoor.